· DISPLAY CABLE HAS SPECIFIC PART NUMBER, PLEASE CONFIRM THE PART NUMBER BEFORE YOU BUY. · IF YOUR ORIGINAL DISPLAY CABLE DOES NOT HAVE THE SAME PART NUMBER, PLEASE SEND US MESSAGE OR CALL US TO CONFIRM THE COMPATIBILITY BEFORE PURCHASE. 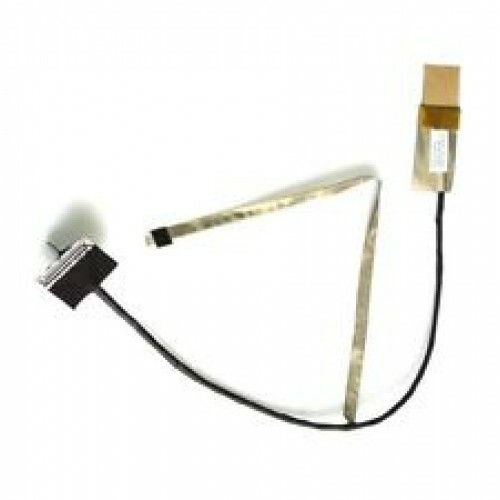 · USING INCOMPATIBLE DISPLAY CABLE MAY DAMAGE THE LAPTOP. WARRANTY WILL BE VOID IF YOU TRY TO REPLACE A DIFFERENT DISPLAY CABLE WITHOUT ASKING FIRST. · IMMEDIATE REPLACEMENT, IF ANY FUNCTIONALITY PROBLEMS. WARRANTY WILL BE VOID ON ANY PHYSICAL DAMAGED ON DISPLAY CABLE AT TIME OF REPLACEMENT.